Fresh kiwi, agave and a bit of water. That’s all there is to this exceptionally refreshing kiwi agua fresca. Kiwi is a fruit rarely seen anywhere but a fruit bowl, but you’re guaranteed to look at them in an entirely different light after trying this! Kiwi Agua Fresca Ingredients 2 kiwis 1 1/2 cups water 1 tsp. agave sweetener Instructions Slice kiwis. 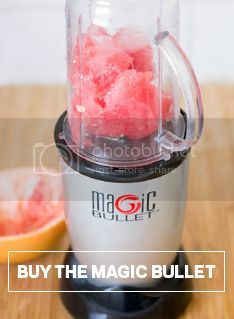 Combine all ingredients in Magic Bullet and blend until smooth. Save this for a warm, sunny day and enjoy!